As far as the Ardbeg special releases go, this impossible-to-pronounce beauty (sometimes referred to as ‘The Beast’) is pretty much gone. There may be a few dusty bottles left on shelves, but as the world has moved on to whirlpools and alligators, this post betrays that I am once again late to the party. I found this one on offer at a bar outside of Boston, MA for some exorbitant price. Knowing that it’s soon to be a relic, I sprung for a glass. One thing I love about Ardbeg – although peatier than a mouthful of Scottish fen, the special releases often show a dizzying range of eccentric flavors. While I’m not a huge fan of the standard 10 year (I think it’s overpriced and not as good as Lagavulin 16 or Laphroaig QC), the special releases almost always blow me away and The Beast is no exception. It’s around 16 years of age, and named for one of the lochs above the distillery and means ‘Valley of the Beast’ in Gaelic. Nose: Starts with a typical peated nose. This evolves quickly into nuanced citrus and spice notes: laden with blood orange peel, coriander, salty morels in a wine reduction, and delicate oak. 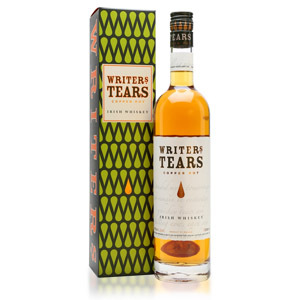 Water sweetens but very much dulls the nose, while coaxing out a little caramel with smoked salt. 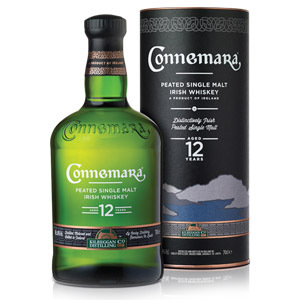 Palate: A torrent of smoke and peat. Meaty and salty. Charred pork on the barbecue. Smouldering wood chips. The char grows in the mouth, turning from charcoal and tar to muddy moss and burning underbrush, and finally to sweet roasted peaches and toasted pine nuts. A few drops of water brings out a fudgy brownie note, at the expense of some of the intensity of that peat blast. Finish: Predictably long (you’ll be scrubbing it out of your teeth in the morning), with some surprising dark chocolate nibs, freshly roasted coffee beans, and a fading marshmellowy malted milk, which coats the walls of the mouth. The finish is totally foreign to the palate notes, and is the best part. As the last notes fade, there is a little wintergreen and, of all things, sour apple. Overall: Like Willy Wonka’s Three-Course-Dinner Gum you get a salty, nutty appetizer, a main course of roasted barbecue pork, a dessert of roasted peaches, a cup of chocolatey coffee and an after-dinner mint! Amazing. As you’re unlikely to find a bottle outside of auctions, I suggest keeping an eye out for a lonely bottle at a bar or a sample to bum off a friend. It’s an experience. Don’t bother with the drops of water: tackle this one in its full, undiluted glory first. East of Lagavulin and Laphroaig on the southern coast of Islay, Ardbeg is known for being among the most heavily-peated single malts made. Their Uigeadail and Supernova (>100 ppm) bottlings push the envelope on palatable levels of peat (measured in Phenol parts-per-million, or ppm). Ardbeg’s water travels a long journey, first from Loch Uigeadail, which is the highest loch (~250m) in the quartzite hills of Islay. The water flows over hard quartzite, via the Ardilistry River, into the man-made Loch Iarnan. Finally, the soft water flows over heavy peat bogs to the distillery via the Ardbeg Burn. Like most [all?] of the other Islay distilleries, its malted barley comes, by specification, from the maltings at Port Ellen. Ardbeg used to have its own kiln-fired maltings, which were unusual due to a lack of a fan in the roof. 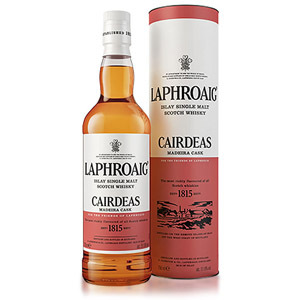 This caused a heavy, tar-like influence of the peat smoke, which added to the inherent peat character in the Islay water. The maltings was closed in 1977, so Ardbegs casked before the late 1970s should still exhibit that old characteristic tar and smoke. Acquired: Capital Grille in Burlington, MA. Nice to see you made it to my stomping grounds. 🙂 I had the Baist when I was on vacation in New York City. A very varied and interesting whisky, well worth trying. I also recommend St. Andrew’s Restaurant, good food and an excellent whisky selection. I managed to grab a bottle a few weeks ago at an Ardbeg tasting. That, and a bottle of Alligator Committee, are tucked away, waiting for an appropriate time to crack open. Nicely done! 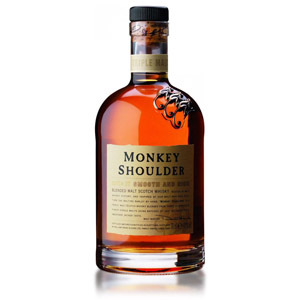 If I could find a bottle of this for a reasonable price (not the $120 they’re hawking it for online), I’d definitely shelve a bottle or two. I actually saw a bottle on the menu on the Rosewood Hotel bar and lounge for $40 a glass if anyone is trying to track it down locally in the bay area. The is my favorite Arbeg so I though I would add a little more info on this expression: There were three releases, 2006, 2007, 2008 all bottled from the same 1990 distillation. The result is 16, 17, and 18 YO versions. Ask to see the bottle when you find it and you will see the bottling date on the back if that info interests you. I’ve tasted all three and while all are excellent, I prefer the 18YO. Magnificent whisky! 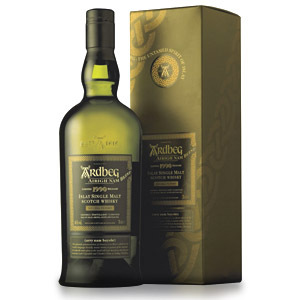 This is not only my favorite Ardbeg, but also my favorite whisky. 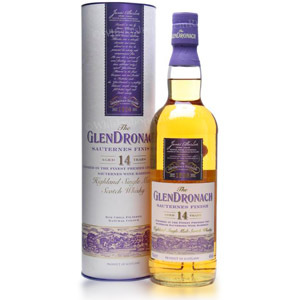 As a ardent drinker of big red wines with serious complexity, I totally appreciate the huge character of this dram and get something a little different out of it each time. In a big cab done in European oak, you can get florals, tannin, herbals, subtle sweetness on the noise, a hint of foody spices, and/or dried fruits. Sound familiar? NOW take those same essences, rebalance them, and add some smoke. Heaven.